At the Vascular Surgery and Endovascular Services Department at Southcoast Health, our vision is to provide leading-edge care to residents in southeastern Massachusetts and Rhode Island. Our vascular surgeons in Middletown, RI, Dartmouth and Wareham, MA offer considerable experience and expertise in patient-focused care. 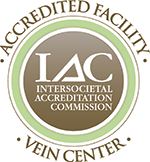 Through our new state-of-the-art clinics, we are able to provide minimally invasive, technically advanced methods, specializing in aortic, carotid, mesenteric, renal venous and peripheral vascular surgery. Locate a vascular surgeon near you through our Find a Doctor tool to set up a consultation and learn more about our vascular treatment options. Thoracic or abdominal aortic aneurysm stent-graft repair: This surgical procedure uses a fabric tube (graft) supported by metal mesh (stent). It can be used for a variety of conditions involving the blood vessels, but most commonly to reinforce a weak spot in an artery called an aneurysm. Balloon angioplasty: Insertion of a small balloon into a blocked artery, which is then inflated to push obstructing plaque against the arterial wall and improve blood flow. In peripheral artery disease (PAD), this is used to restore blood flow mainly in leg arteries. Carotid artery stent: A small, self-expanding, stainless steel mesh tube that is placed within a carotid artery to keep the vessel open. Venous angioplasty: The use of angioplasty to treat clots and stenoses (narrowing) in veins. Endarterectomy: Endarterectomy is the surgical removal of plaque from an artery that has become narrowed or blocked. A variety of surgical techniques can be used to remove plaque. Endovenous Closure: Performed either using non-thermal ablation (Venaseal or Varithena) or thermal ablation using radiofrequency or laset. This is used to treat varicose veins and performed in an outpatient setting. Surgical bypass: This vascular surgery treats narrowed arteries by creating a bypass around the section of the blocked artery. During a bypass procedure, your vascular surgeon creates a new pathway for blood flow using a graft. A graft can be a portion of one of your veins or a synthetic graft. Learn more about the conditions we treat and the treatments we provide in each of these specialties. *Permission for use granted by Cook Medical Incorporated, Bloomington, Indiana. Southcoast Health is a leader in vascular surgery in Middletown, RI, Wareham, Fall River, Dartmouth and New Bedford, MA through our advanced cardiovascular clinics.